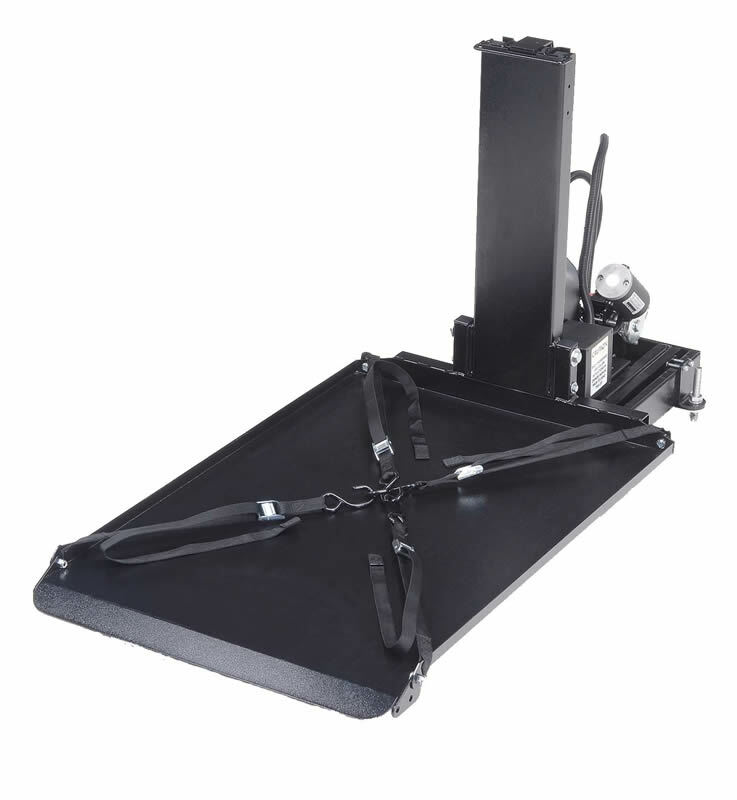 About the Harmar Side Loading Hybrid Platform Lift: The Harmar Side Loading Hybrid Platform Lift allows you to drive your power chair or scooter onto a platform and then load it inside your vehicle. 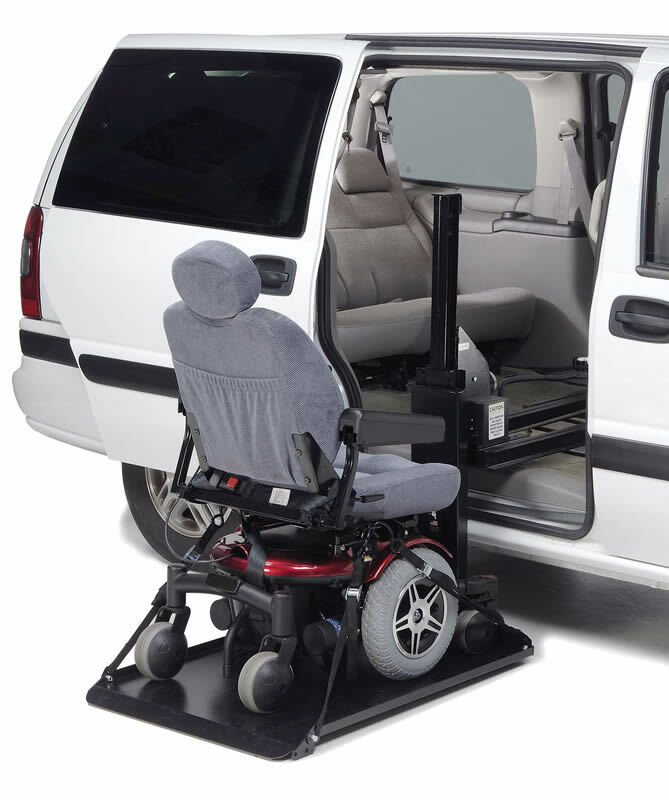 It combines the simple operation of an external platform lift with the protection you get from having your chair or scooter inside the vehicle. Operation is simple, just drive on and press a button! Iron leg from Medford, Oregon would recommend this to a friend. The directions to install were skimpy, but it was not that hard to install by myself. 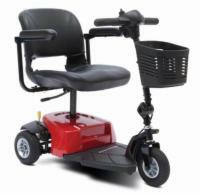 It is easy to operate and works good.